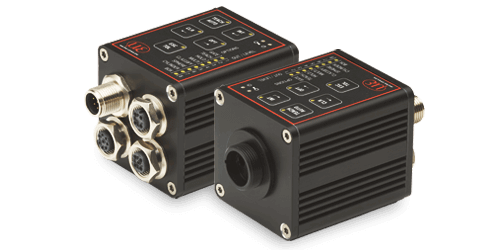 The colorSENSOR CFO is a new sensor for precise color recognition in industrial measurement tasks. The CFO series is distinguished by high color accuracy, state-of-the-art interfaces and intuitive operation. The controller is connected using fiber optics, which can be adapted for different measurement tasks. The colorSENSOR CFO is used in color recognition tasks on interior parts such as head supports, in packaging control or in color sorting tasks with crown caps, closures or labels. The colorSENSOR replaces the LT series models. Operating the colorSENSOR CFO model requires fiber optics that are used on the measuring point. Depending on the measurement task, the fiber optics can be individually combined. Sophisticated, glass fiber optics provide benefits due to their minimal installation dimensions, robust materials and are ideally suited to mechanical stress and harsh ambient conditions such as high temperatures. The sensor can also be used in restricted areas as the sensor head requires a minimum of installation space. The integrated, intuitive web interface simplifies configuration of the CFO sensor. The sensor is connected to a PC via an Ethernet interface. The web interface features measurement value display, set up and configuration of e.g. exposure and measurement frequency. Furthermore, the sensor can be adapted to suit different color groups and tolerance space for each color. The CFO100 is ready for precise color measurements in automation environments. High color accuracy enables reliable recognition of the slightest color differences. Due to the measuring rate of 10kHz, the CFO100 can also be used to monitor dynamic processes. 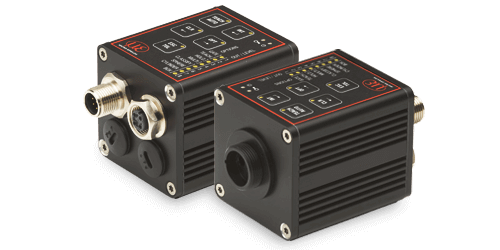 The CFO200 is designed for high performance color measurements. With a measuring rate of 30kHz, even dynamic high speed production processes can be monitored reliably. High repeatability enables the reliable detection of even the slightest color differences. The color memory offers teach-in of more than 320 colors in 254 color groups.